The following highlights selected products and projects of those I had been delighted to lead or work at Dell (Wyse) 2013-2018. Part of my role with Dell (2017-2018), I led the user experience design of Dell Wye Software-defined Thin Client portfolio. 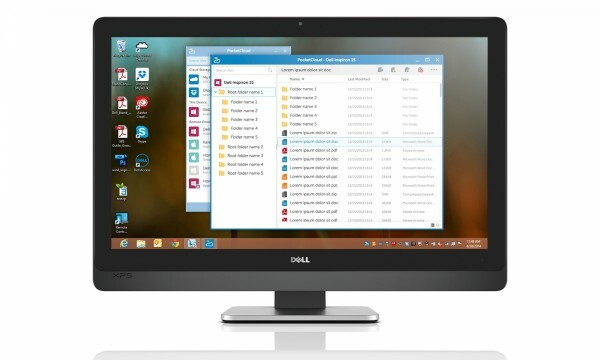 Dell Wyse Easy Setup is a software utility that lets organizations configure and deploy their Windows think clients with ease and simplicity. IT administrators can replicate a single device configuration across any other compatible Windows operating system and tailor end-user experiences. Our team worked directly with project managers, engineers, and IT administrators to research and develop experiences which enabled IT Admins to quickly and easily configure, lockdown and deploy their Windows-based Dell Thin Clients for enterprise environment. 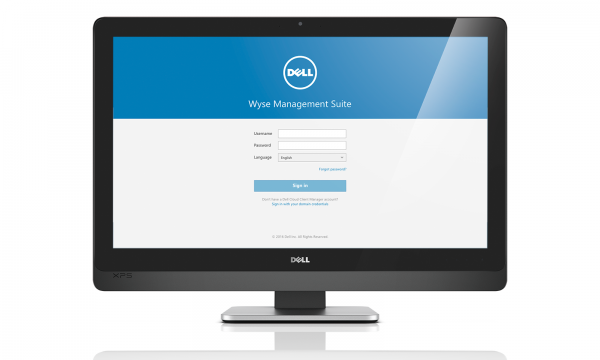 Dell Wyse Management Suite is a powerful, secure and highly scalable solution for managing and optimizing Wyse endpoints, offered both cloud and on-prem options. 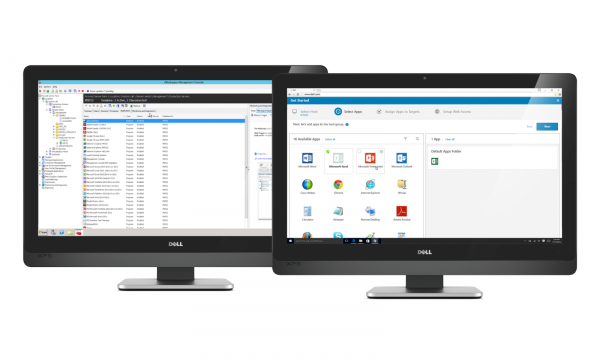 It is the successor of two enterprise management software: Dell Wyse Device Manager (on-prem) and Dell Cloud Client Manager (cloud). One of the goals of the first release is to allow customers from both legacy products to install as well as to provide a guided path to set up the new software. As the UX lead, I am responsible for facilitate requirement gathering discussion, designing the flow and interaction, and aligning the visual language. Success was measured by delivering a user-centric flow and design for install wizard and OOBE (Get started). The success of these deliverables was evaluated by feedback from customers and Dell Wyse Sales team. 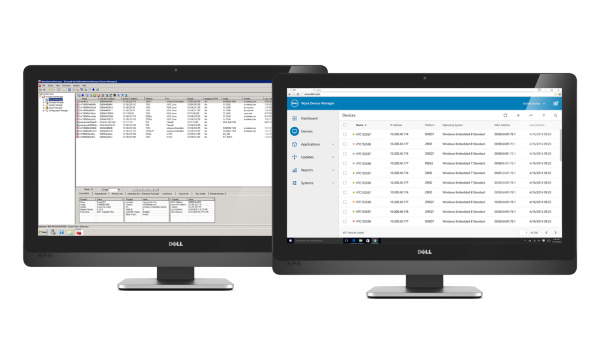 Dell Wyse Device Manager is a secure, highly scalable software designed for IT admin to manage and monitor Dell Wyse thin and zero client desktops and to help maximize user productivity. In order to add new features to the software without consuming huge amount of engineering resources, it was necessary to move away the legacy technology and to turn the product into a web-based application. How might we migrate Dell Wyse Device Manager with modern technology and user-centric experience? We started with understanding our users. As the Dell Wyse Device Manager UX lead, I am responsible for redesigning the legacy desktop-based console into a user-centric web application. validated usability with user testing. 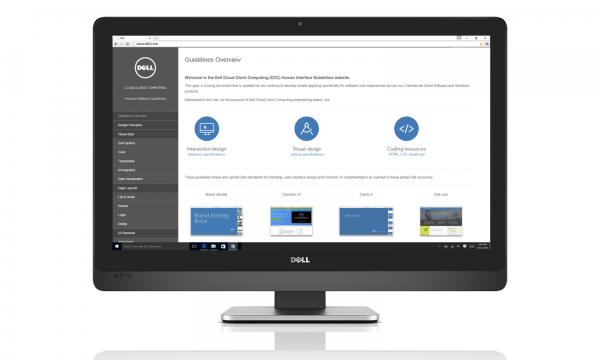 The Dell Cloud Client Computing Human Interface Guideline is an internal website that documenting principles, styles, and UI components with interaction and visual specifications that intend for software user experience across the Cloud Client Computing products. The designers and developers within the division can both design and develop using consistent design and code library. As the Design Lead, I am responsible for facilitating a series of internal workshops, designing the components and aligning the visual language of the system with Dell corporate design guideline. 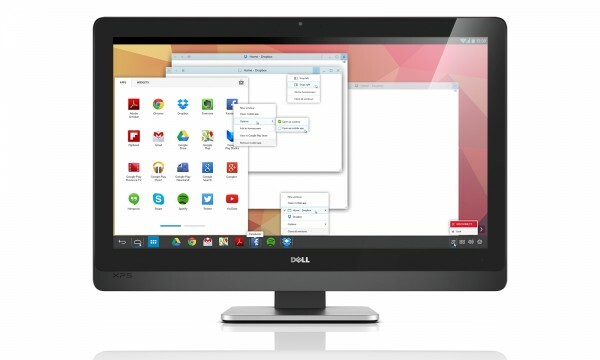 Dell Wyse vWorkspace is a flexible and high performance desktop virtualization software. The goal of this redesign is to move from a desktop-based console to a web-based console along with a desire of an improved next-gen UI. As the Visual Design lead, I am responsible for redesigning and aligning the visual language of the legacy desktop-based console into a user-centric web application. After going through competitive analysis of similar products and studies of existing product in detail, the architecture and user flows are greatly simplified. The same task can be more focused, broken down into meaningful sections, and is easy-to-understand for a novice IT user. 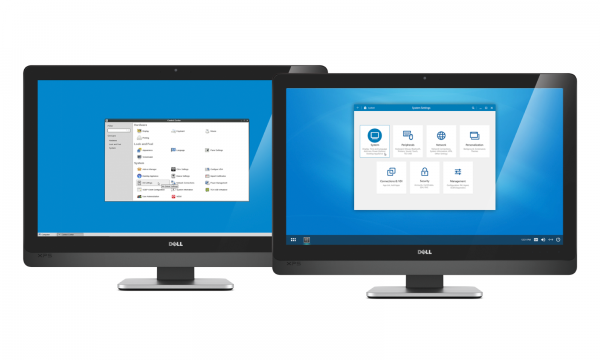 Dell Wyse Thin Linux is a Linux environment built for Dell Wyse-enhanced Linux thin clients, offering high performance, security, the ease of management and use of virtual desktops, plus the flexibility to browse the web or run local applications. The goal of this redesign is to refresh the old UI with streamlined interaction and branded visual design. As the Visual Design lead, I am responsible for designing and aligning the visual language of Dell Wyse ThinLinux and setting up the guideline for later redesign of other operating systems. Dell Wyse Cloud Connect is a portable computer that runs Android in a size of a thumb drive. Out-of-box-experience is the experience user has when preparing to first use a new product. This includes the setup process of installing and configuring. 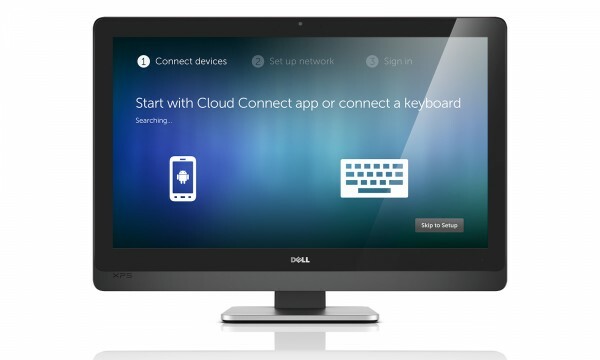 It is also the first impression Dell Wyse Cloud Connect creates to each user. I helped designed and simplifying a complex setup. The new and branded visual language helps the user to understand each step without too much reading or thinking. During the design process, I was also responsible for overall art direction to the branded design as well as creative direction for video prototyping and animated assets. As the result, the technical setup process became logical and easy to follow. Reviews rated the setup process was a “breeze”. 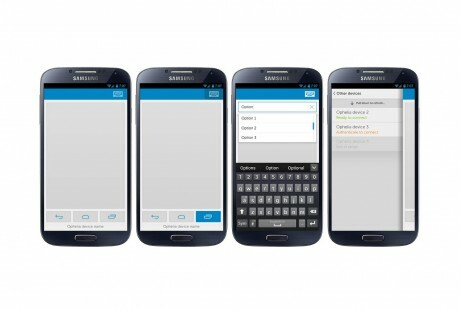 The Dell Wyse Cloud Connect Controller app transforms any Android device into a keyboard and mouse for the Dell Wyse Cloud Connect device. I designed this mobile interface with Android gestures, keyboard input, and Android navigation bar. The connection menu allows the user to easily connect the app with Cloud Connect device via bluetooth. The app is available on Google Play and receives very positive ratings and reviews. PocketCloud® is a secure and fast way to browse content or run apps on your PC’s and Mac from your iPad, iPhone or iPod touch no matter where you are. Access your pictures, music, videos and applications like Excel, PowerPoint, Photoshop, games or any other program. I redesigned and streamlined the experience of previous version of PocketCloud Windows Desktop App with added features; the UI and UX are improved with the new and branded visual design. 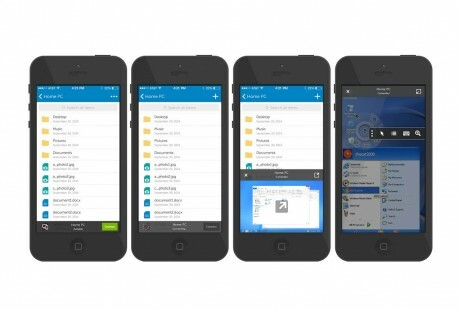 The Dell Mobile Management Agent works with the Dell EMM platform to offer IT administrators a simple, secure, cloud-based management system for managing mobile device settings, apps and data. 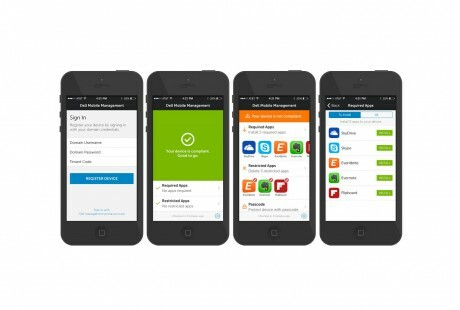 The Dell Mobile Management Agent simplifies Apple and Android device enrollment process for both employee (BYOD) and company owned devices. I led the redesign effort by streamlining the experience of merging the 2 award-winning PocketCloud apps into one app, combining the powerful features of file browsing and remote accessing. The complex UI & UX of the powerful features of file browsing and remote accessing were combined and improved with completely new and branded visual language. Dell Cast is a portable adapter for Dell Venue tablet by transforming the user interface of the Android tablet into a PC. User can check email, work on documents, and browse the web with multiple browser windows; user can also use to cast movies, photos, apps and more from Dell Venue tablet onto your TV by plugging it into an HDMI port. I led the design for the PC/TV user interface and experience. The task bar icon sets helped the user to define tasks. The window chrome was custom-designed to help the user to understand of capability of multi-tasking and windowing within an Android environment.